Chinese smartphone brand Xiaomi has today launched its most affordable smartphone – Redmi Go – in the country. Redmi Go is a part of Google’s Android Go program and it is primarily meant for those who will be trying an Android smartphone for the first time. 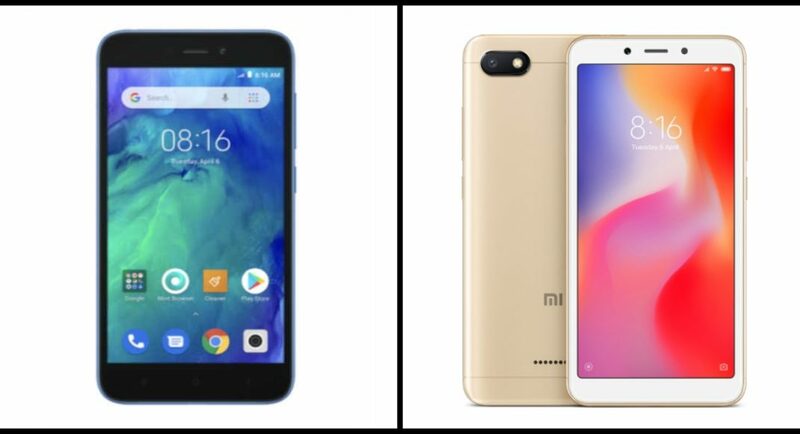 While the smartphone inevitable competes with a number of entry-level smartphones in the country, it also goes up against Xiaomi’s own Redmi 6A handset. Both the smartphones belong in the budget segment. However, we should point out here that although Xiaomi Redmi 6A is priced slightly higher than Redmi Go, it also comes with better specifications. So if you are looking for an entry-level smartphone, you would most likely at least consider a few options from Xiaomi, even if you choose not to settle for them. However, if you are certain that you would buy a Xiaomi smartphone, then Redmi Go and Xiaomi Redmi 6A smartphones are two devices you would have to make a choice between. But then, we must point out that while both the smartphones may prove to be great options for basic day-to-day tasks, you shouldn’t expect too much from them. For a device that handles more, you may want to add in some bucks and get a Samsung Galaxy M10 instead.